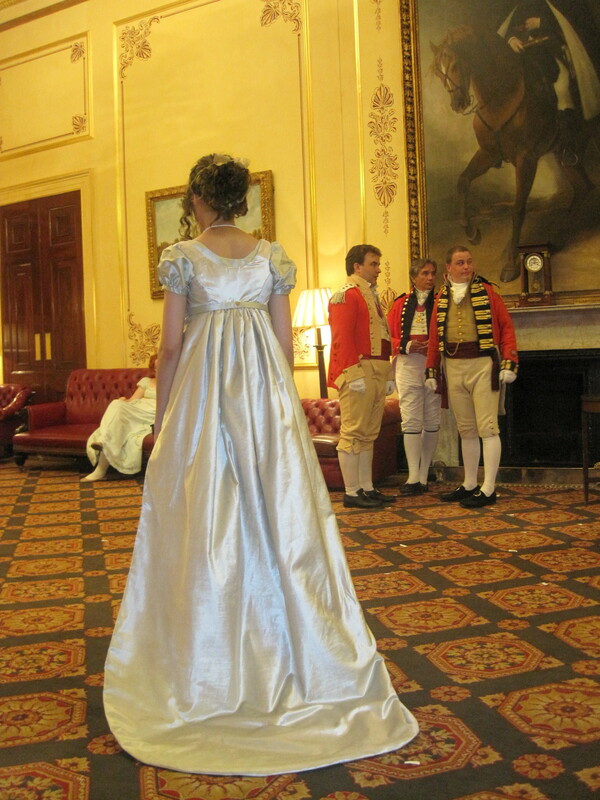 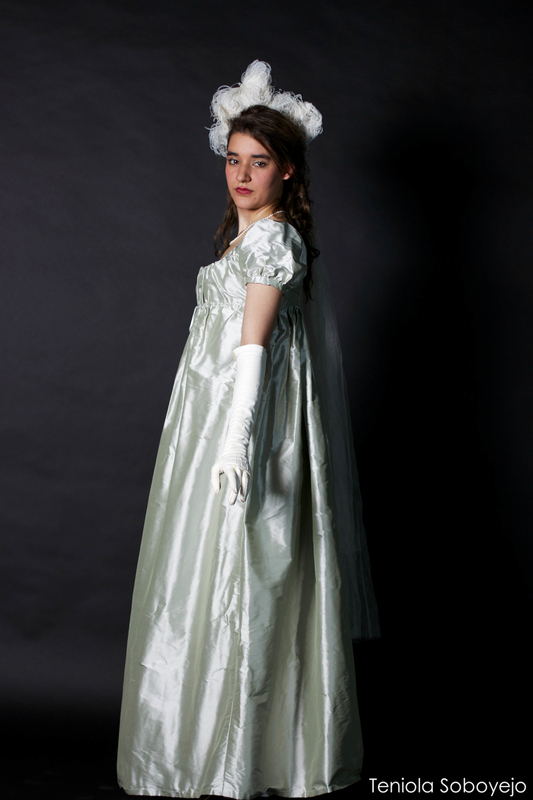 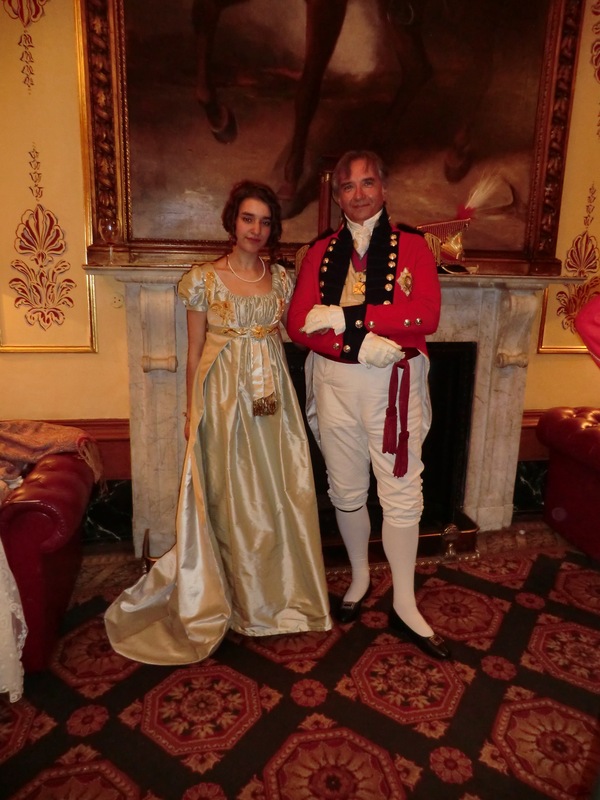 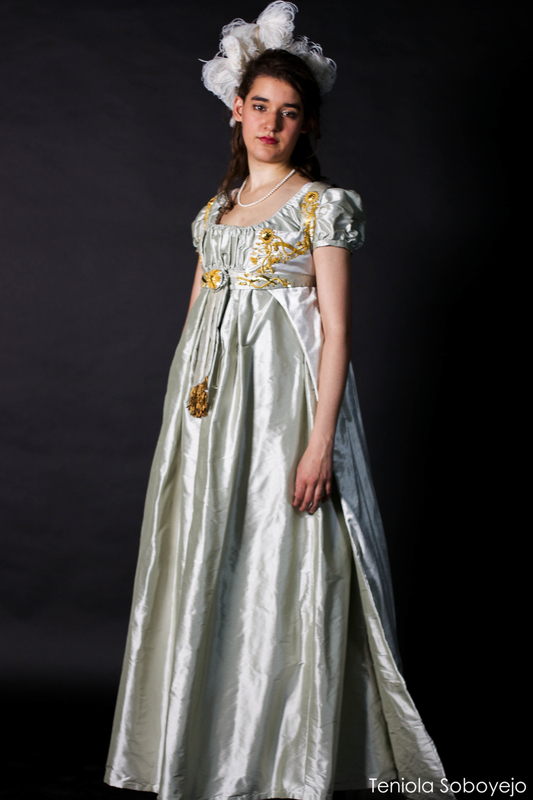 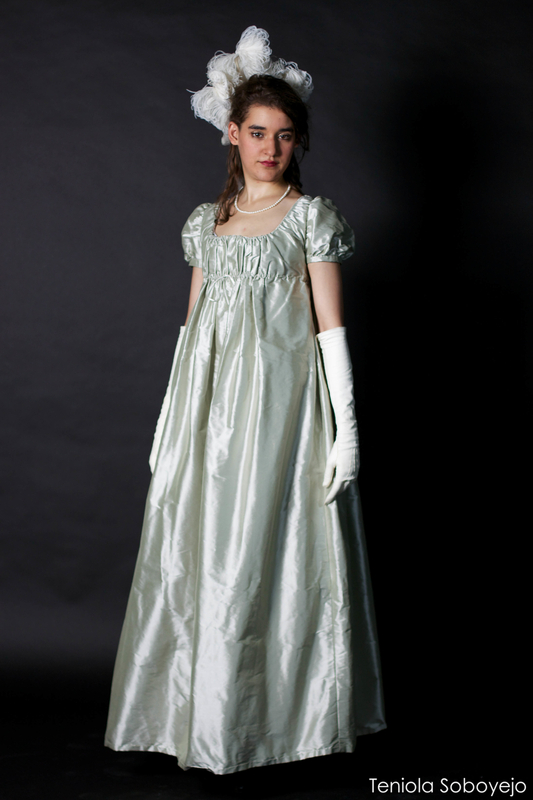 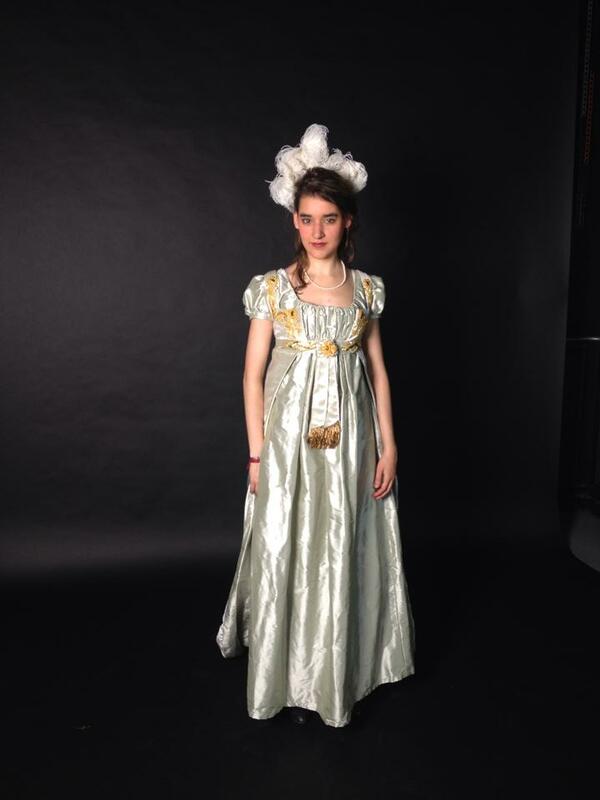 Gown inspired by the painting of Queen Louise of Prussia. 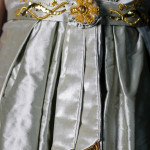 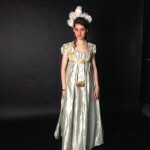 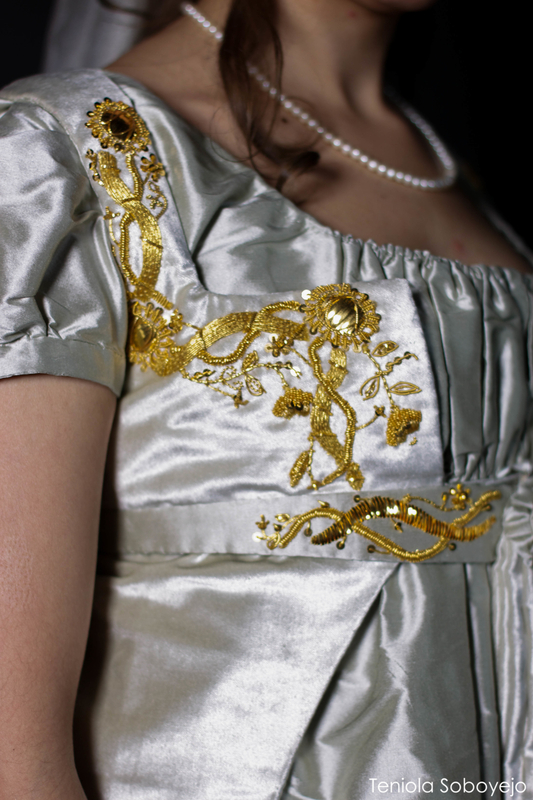 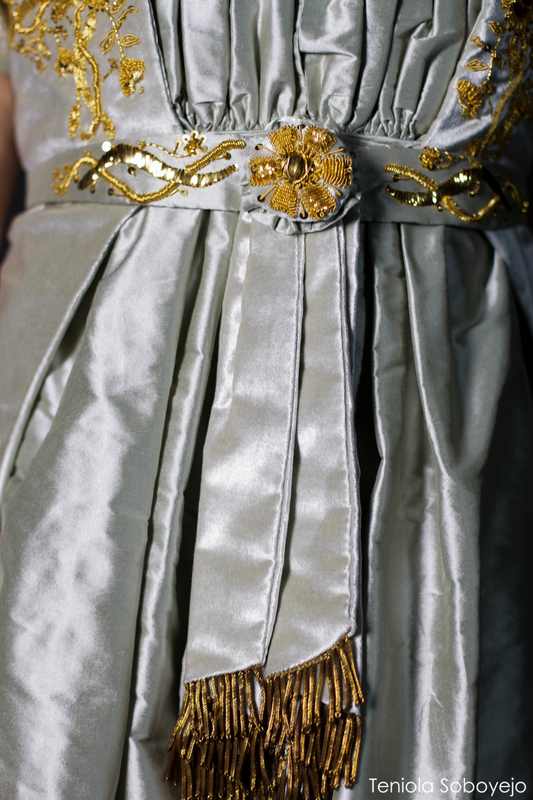 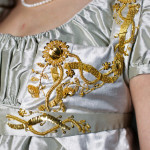 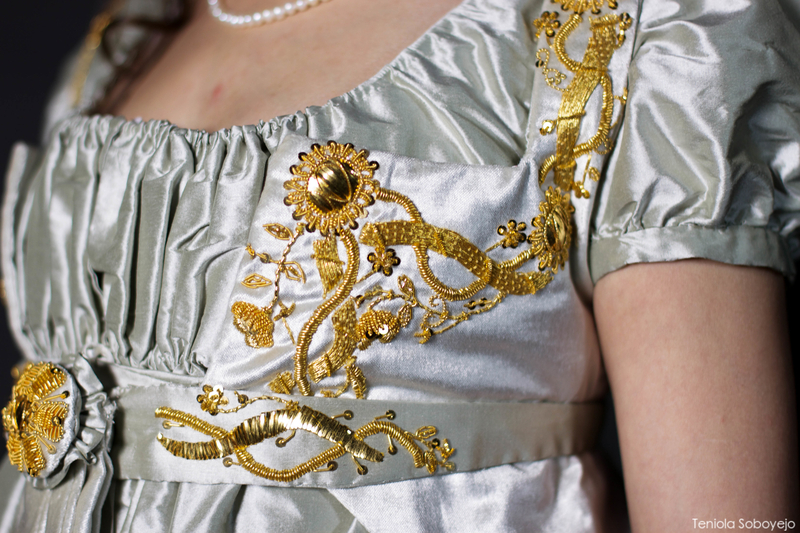 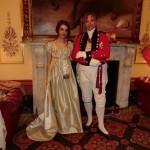 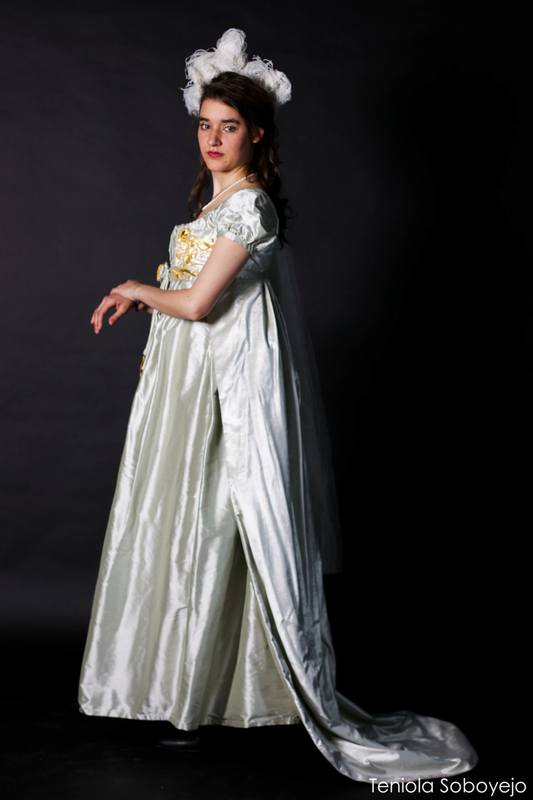 Entirely hand sewn with goldwork details on the bodice and belt. 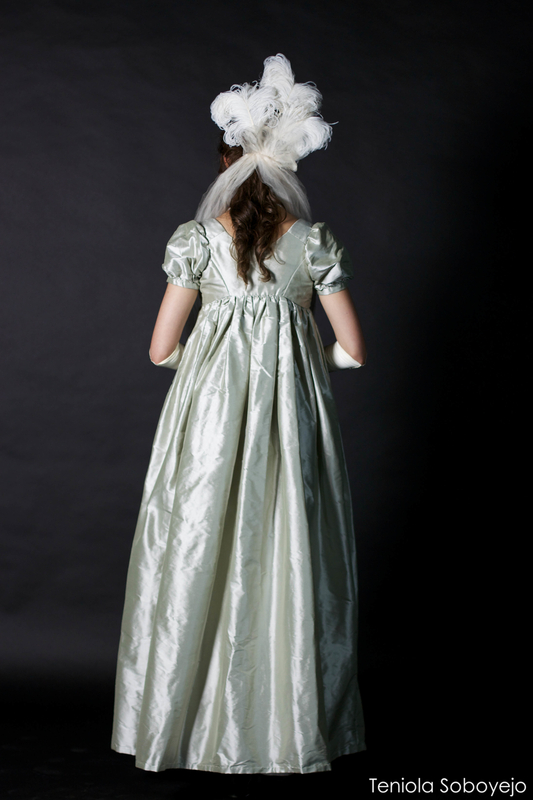 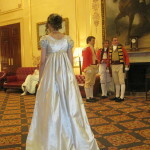 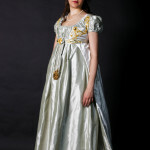 Ball gown made out of silk taffeta with overdress of velvet.